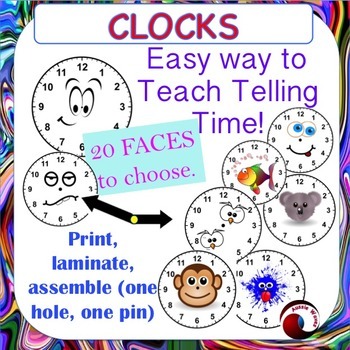 These are cheap and attractive tools to teach students how to tell the time using an analog clock. A simple idea, but it has worked well for me! I have a class set that has lasted approx 5 years! 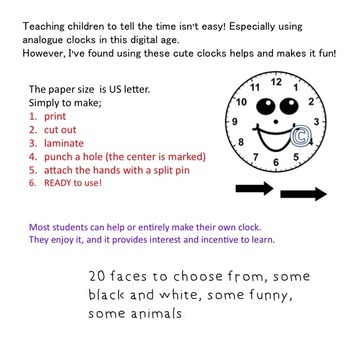 I always use this as a craft activity so each child has their own clock. Unless the children are very young, they can assemble the clock themselves, which increases interest in using and ownership. These are great for class lessons and small Math center activities. Other math Resources that may interest you!